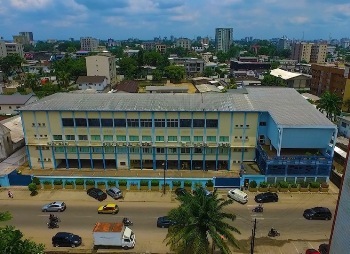 This year, the American School of Douala (ASD) celebrates its 40th anniversary, having provided an American education to the international and Cameroonian communities in Douala since 1978! ASD is located in the port city of Douala in the south of Cameroon in West Africa. Lonely planet says the city is a primary air hub and leading business center “ . . . [with] charm in the street life and battered Independence architecture.” The school and housing are located in a great neighborhood with restaurants, cafes, supermarkets, and shops. Teacher housing includes two- or three-bedroom apartments within a 10-minute walk of the school. ASD’s small size allows students, teachers, and parents throughout the school to know one another, giving the ASD community a genuine family feel. 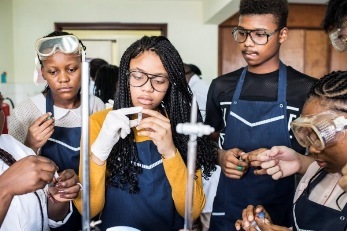 Currently enrolled are 175 K–12 students of 30 nationalities; one-quarter of the population is from Cameroon, with 18% from North America and 1% from the U.K. Accredited by the Middle States Association, ASD school delivers the U.S. Common Core curriculum and a selection of Advanced Placement courses in the upper grades. The teaching staff of 24 includes 12 from Cameroon and 9 from North America. 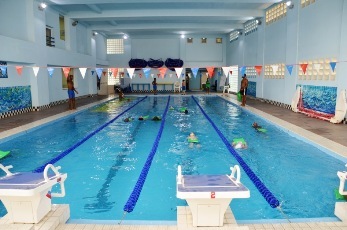 The school provides a full range of after-school activities for all ages, four days a week. 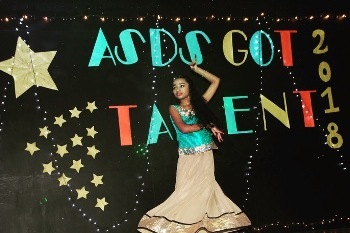 As a member of the West Africa International Schools Activity League (WAISAL), ASD participates in tournaments and competitions with other member schools in West Africa. In addition to its competitive sports program for volleyball, basketball, and soccer for Grades 6–12, ASD offers intramural sports and dance at all grade levels. Other typical extra-curricular activities include Model United Nations, Math Counts, Chess Club, and Yearbook, as well as Hindi, Arabic, Mandarin Chinese, Reading Clubs, and more. For art and sport, students can enjoy piano lessons, arts & crafts, African dance, Tae Kwon Do, ballet, gymnastics, Ultimate Frisbee, and track and field. ASD prefers to hire certified singles and teaching couples without dependents. They will consider exceptional newly-certified candidates as well as those certified in a non-English speaking country. Teachers must hold an academic degree in the subject they will be teaching. There is no age limit to obtain a work visa in Cameroon. The benefits package includes a non-taxed salary, moving and settling-in allowances, a fully-furnished apartment for which the school pays for water and electricity, and annual airfare. ASD contributes 5% to a retirement plan the first two years and 10% thereafter. The tuition benefit is 100% for anyone the school hires with dependents. Fully-covered worldwide health insurance includes dental coverage. These benefits make for some excellent savings. To gain access to the American School of Douala’s full profile on the Search Associates database, including a list of all open positions, candidates can apply for membership by clicking here. Candidates already registered can easily access the school profile directly through their dashboards.